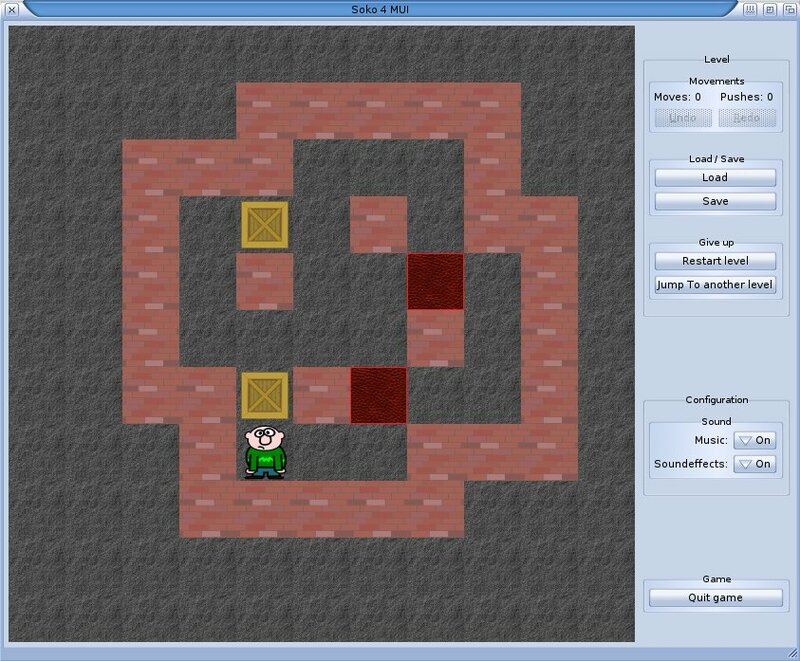 Description: A MUI game inspired by the famous thinking game Sokoban. To make solving the levels less difficult, there are options like "Undo", "Redo", "Load/Save", "Restart level" and "Jump to level". Caution: The game might not work properly if you have got a screen height of less than 900 pixels. Some of the levels are from D.W. Skinner ("Sasquatch" levels) and Aymeric du Peloux ("Minicosmos" levels) who allowed their free use by others as long as they are properly credited.